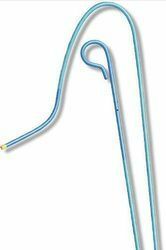 We are a leading Manufacturer of urology instruments, co2 insufflator, stone basket, urethral catheters, angiographic catheter and central venous catheter from New Delhi, India. 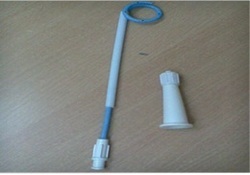 We are reputed Urology Equipment manufacturers provides our valuable customers a full line of Urology Accessories that are extensively used for various urology treatments in medical field. 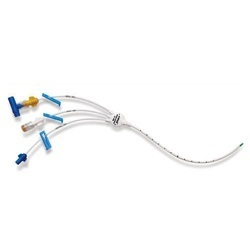 Available on the demands of the doctors and physicians, we are prominent Urology Instruments extend our clients wide range of classified products that include. We are leading exporter of CO2 Insufflator. We offer wide range of Stone Basket. Percutaneous Nephrostomy(PCN) is an interventional procedure used to relieve an obstructed renal collecting system. It is a safe procedure which is also used for tract creation for inserting devices, to remove stones or for taking tissue for microscopic examination, dilatation of ureteric narrowing and ureteral stenting. This procedure should be performed by expert radiologists in interventional radiology or by urologists. 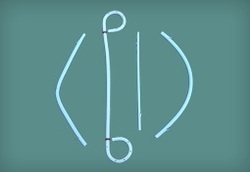 The range of PCN catheter placement has been expanded and is widely used in the diagnostic and therapeutic procedure. 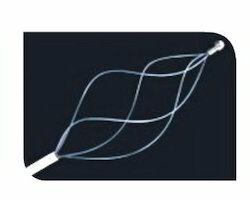 The PCN catheter are tested and approved by experts before delivering for medical use.